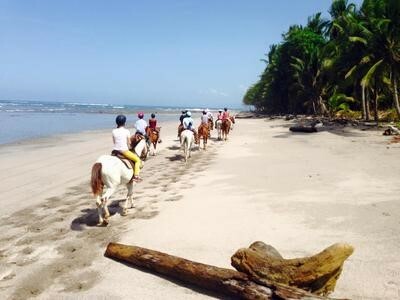 We are proudly known and well-respected for offering the best horseback ride in all of Costa Rica. Traverse a working cattle ranch with panoramic ocean vistas, and feel the freedom of riding horseback along the deserted coastline. Horses are raised and treated with loving care, and all tours are led by a professional bilingual guide, an accompanied by a local sabanero – a traditional Costa Rican cowboy.